Leaders of the key Senate panel overseeing the General Services Administration responded to news of another conference featuring questionable spending by releasing a redacted version of a letter from the acting GSA chief summarizing progress on his “top-to-bottom” review of the troubled agency’s management procedures. 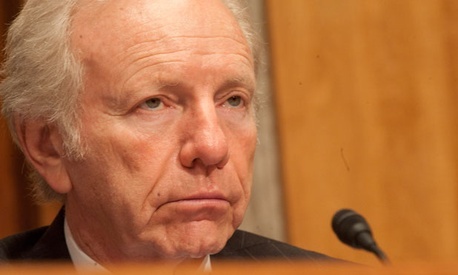 “At a time when Congress must make the toughest budget choices we have ever made, I am sickened to hear more stories about the reckless disregard GSA shows for taxpayer dollars,” said Sen. Joe Lieberman, I-Conn., chairman of the Homeland Security and Governmental Affairs Committee, after House Republicans revealed details of a November 2010 Federal Acquisition Service conference held in Arlington, Va. The $270,000 event that reportedly hosted 1,000 guests at two hotels featured expensive catering and thousands of dollars in gifts to attendees such as picture frames and drumsticks said to have been used in a team-building exercise. The senators also released a redacted copy of a letter acting GSA Administrator Dan Tangherlini sent to the panel June 20 in response to a series of questions the lawmakers posed on May 10. Tangherlini in his letter reviewed changes he has made since assuming his post in April, including canceling some conferences, tightening accounting oversight of per diems and other expenses, centralizing supervision of regional GSA bodies and improved monitoring of contracting. He said senior adviser Kevin Donahue is leading a review of the agency’s structure and it will be completed by September, in time for preparation of the fiscal 2014 budget. Meanwhile, Rep. John Mica, R-Fla., the chairman of the House Transportation and Infrastructure Committee who unveiled the latest GSA conference dust-up, announced a hearing set for Aug. 1 to explore details of the 2010 event.